West Iceland is often overlooked in favor of the country’s capital, Reykjavik, and its nearby attractions, like the Blue Lagoon. 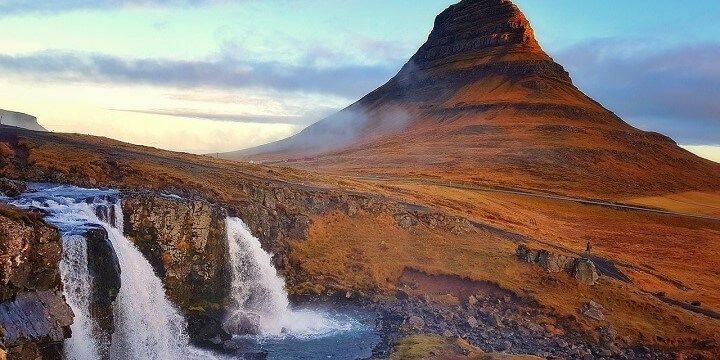 However, West Iceland is a travel bucket list essential if you’re looking for breath-taking beaches, impressive glaciers, and quaint, colorful towns. Husafell is one of the best West Iceland tourist attractions for campers and nature-lovers. 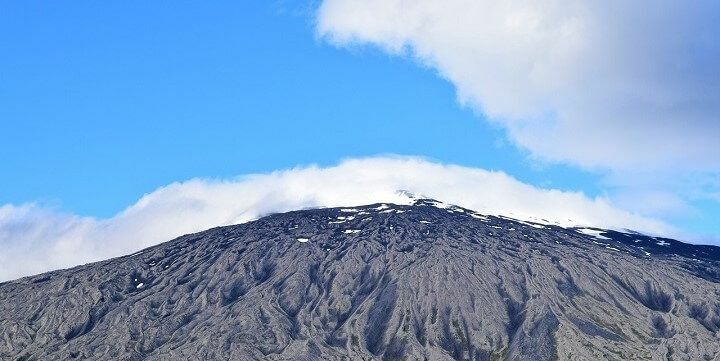 It’s a great base for hiking around the Husafellskogur Forest, which is home to the impressive Tengil Mountain and a lava field with geothermal pools. The Hraunfossar waterfall is close to Husafell. 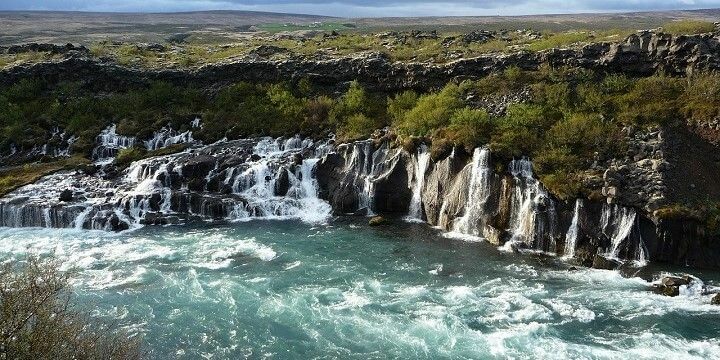 Husafell is also close to the two beautiful waterfalls of Hraunfossar and Barnafoss. The former is almost one kilometer wide and consists of several tiny streams, which come out of the Hallmundarhraun lava field. More natural beauty can be found at the nearby Deildartunghver, Iceland’s biggest hot spring. The water reaches nearly 100 degrees Celsius, so stay well away and observe from the safe walkways. 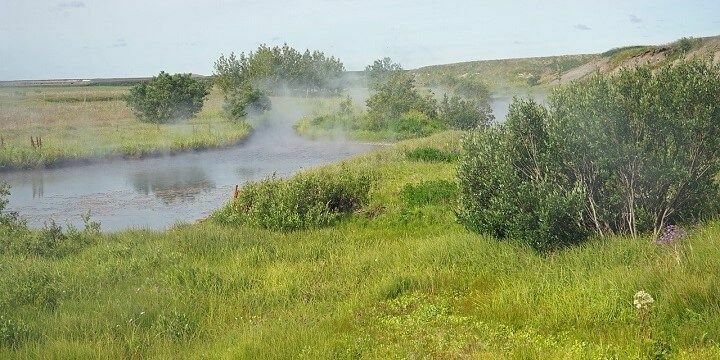 Deildartunghver is Iceland’s biggest hot spring. Afterwards, cool down with a chilled beer at the Stedji Brewery, where old, traditional recipes are used to make tasty pints. When thinking about where to stay in West Iceland, many tourists choose Akranes, one of the region’s main towns. Akranes has several attractions, including its Museum Center where you can learn about the country’s history. Afterwards, you can relax on the Langisandur beach, which is a 15-minute walk from the town center. While the beach is beautiful, you’ll need to wrap up, as the icy Atlantic breeze makes it cold all year round. It’s also worth checking out Akranes Lighthouse for an interesting local photographers’ exhibition and fantastic views as far as Reykjavik on a clear day. The coastal town of Borgarnes should feature on every foodie’s West Iceland itinerary! The Ljomalind (local farmers’ market) sells delicious local treats, like beef, cheese, and ice cream from the nearby farms, as well as tasty jams and candy. The coastal town of Borgarnes is home to just about 2,000 people. Borgarnes is also a great base from which to explore Langjokull, Iceland’s second-largest glacier. In 2015, a manmade cave opened inside the moving glacier, enabling visitors to explore a 550-meter-long tunnel with five icy chambers. The Snaefellsnes Peninsula is located on a piece of land that juts off into the Atlantic Ocean. The peninsula has several highlights, including the ginormous Snaefellsjokull Glacier which offers spectacular views over the beautiful Snaefells National Park. The Snaefellsjokull Glacier is just one of the highlights on the Snaefellsnes Peninsula. Don’t miss out on the impressive Gerduberg Basalt Columns, a natural 10-meter-high wall, and the Olkelda Mineral Spring, where you can try fresh sparkling mineral water straight from its source. There are plenty of hiking opportunities on the peninsula. The Kirkjufell Mountain, for example, is the most-photographed mountain in Iceland. It’s also close to the town of Grundarjfordur, which is one of the best locations in the world to spot orca whales. The Kirkjufell Mountain is located close to the town of Grundarjfordur. Helgafell Mountain, meanwhile, is thought to have magical powers, so you should make three wishes while heading up it. 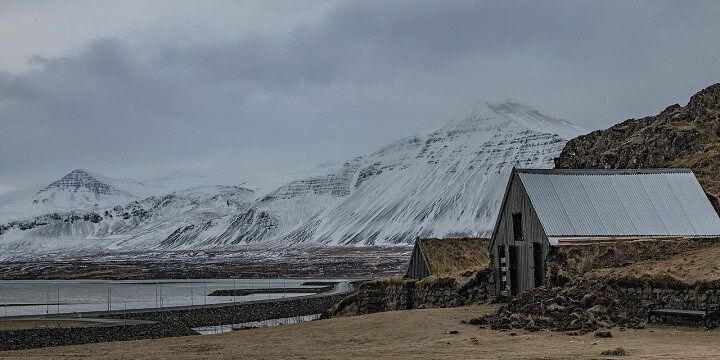 The island of Flatey is located in the northwestern Breidafjordur Bay and is one of the best West Iceland attractions if you’re after some peace and quiet. Simply stroll around the quaint old village, with colorful houses, or head to Gryluvogur Beach to see crabs and jellyfish. Between May and June you can spot puffins on the island of Flatey. 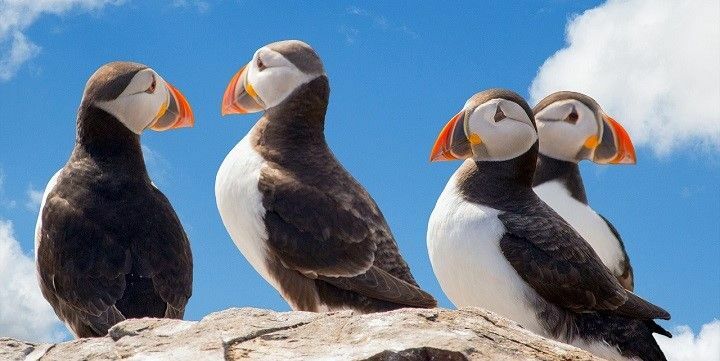 The 0.5-square-kilometer island is a great place to spot puffins between May and July, or see the beautiful — but violent — arctic tern bird. Western Iceland is more remote but features breathtaking natural beauty.